Closing date: Sunday 17th December at midnight. Competition is available to UK and European residents only due to CITES restrictions on the exporting of rosewood. The promoter is Guitar Village Ltd whose registered office is at Guitar Village, 80-82 West Street, Farnham, Surrey GU9 7EN. Employees of Guitar Village Ltd or their family members or anyone else connected in any way with the competition or helping to set up the competition shall not be permitted to enter the competition. Closing date for entries will be Sunday 17th December at midnight. After this date the no further entries to the competition will be permitted. 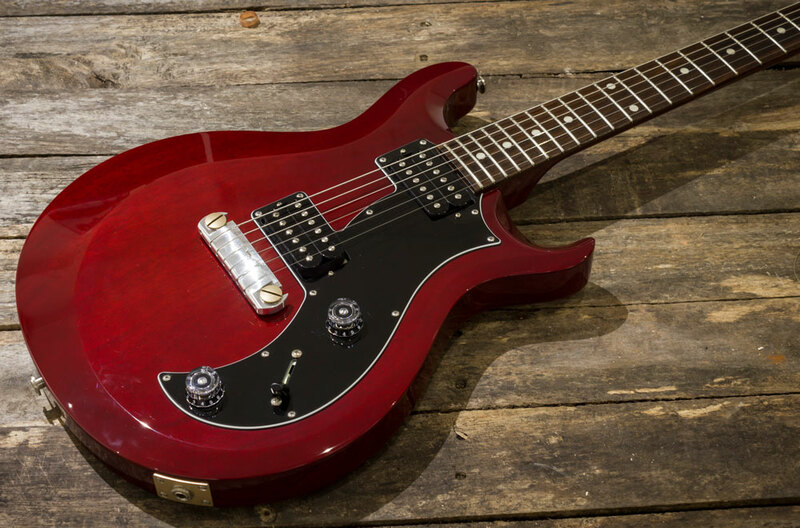 The competition prize is 1 x PRS S2 Mira in Vintage Cherry. The winner will be notified within 2 days of the closing date via email or direct message. Please check your spam/filtered message folder. If the winner cannot be contacted or does not claim the prize within 2 days of notification, we reserve the right to withdraw the prize from the winner and pick a replacement winner. The winner will provide an address and name that the prize should be delivered to. Guitar Village Ltd will send the prize by registered delivery, and the prize will need to be signed for on receipt. Once the winner has claimed their prize and provided the details in (13), we will then announce them as the winner on Facebook and include your name in that post. The winner commits to providing a photo of themselves with the prize for use in our winner announcement on Facebook. By entering this, the competition winner gives permission to use their win and image in our promotional materials.